Sun City is home to 12 Pickleball courts and more than 700 players. Mike Wallick became acquainted with the sport through his in-laws who live in Florida. 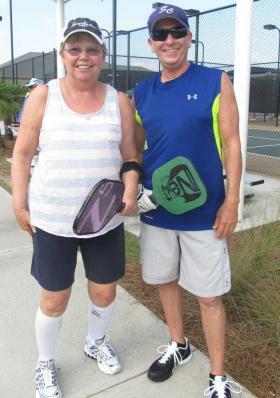 He was named Sun City Pickleball Club president three years ago and has been playing for five. “I enjoy the competitive side of the game but also the people I’ve met through playing,” Wallick said. “It’s easy to play and easy to learn.